Upon first arrival at Trekker Camp in Chaing Mai (if you’re even able to find it that is…no taxi driver seems to know it! ), to tell you the truth first impressions aren’t great. It’s quite out of the way of the main city and its attractions, and its all generally a bit grubby and dishevelled. Having said that however, the place soon starts to grow on you. The people/family who run the hostel are absolutely lovely, and very welcoming. They will do their utmost to make your stay as nice and fun as possible – they even took the time to teach us how to make the floating candles for Loi Krathong (lantern festival) that we took down to the river. 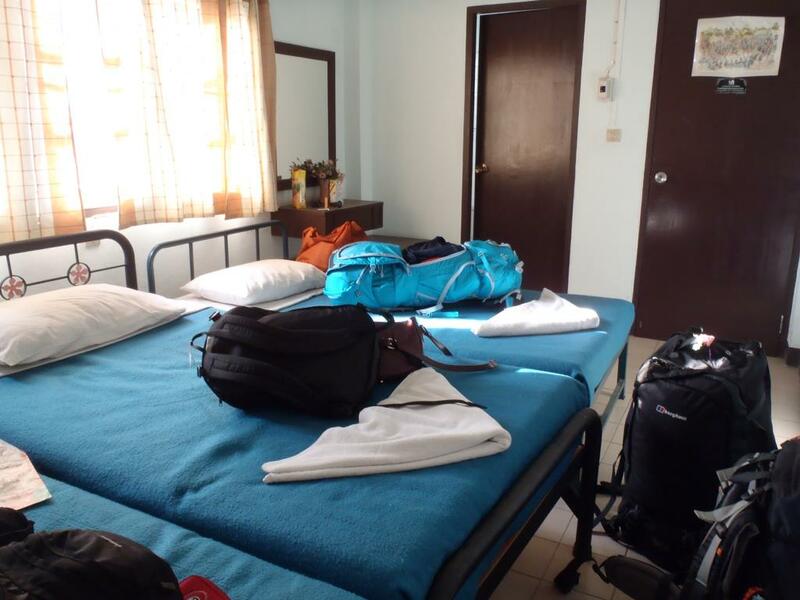 Other positives are the fairly sizeable rooms and the free, although somewhat sporadic, WiFi. There is also a beautiful garden area in the centre of the grounds – a place to just chill out in the evenings and meet fellow travellers (although during our stay we didn’t see that many other guests as I think they were all out on the treks that the hostel runs – hiking and seeing elephants and waterfalls and such activities…so if you’re into the whole idea of organised trips then this is probably a great place for you, as they really do seem to know what they’re doing). The main downsides to the hostel are the cleanliness (ants on the stairs and no cleaner to empty the bathroom trash – pretty gross seeing as you’re not allowed to put paper down the toilet) and the location. It’s about 30 minutes walk from the old town and any sightseeing opportunities (or about 60 baht in a taxi/tuk tuk), altough there is a place that makes the BEST coffee I’ve ever had on the way…look for ‘Arom D’ if you’re ever in the area. 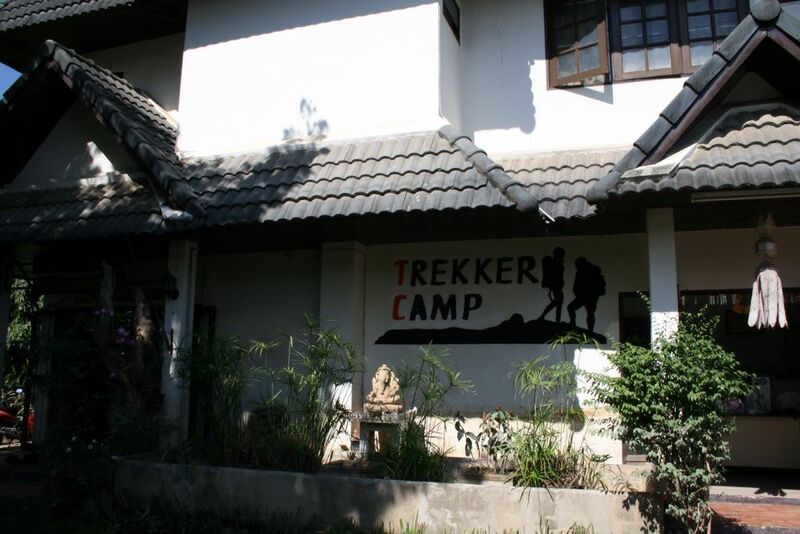 The best thing about Trekker Camp is the fact that it only costs 50 Baht per night per person to stay there (about $2.70), so you could pretyy much live there for quite a while and not really spend any money! Oh and there’s a great bar just up the road, that serves cheap beer and delicious food.